We had a wonderful time with M. He was very flexible and worked with us to get us all the places we wanted to go. 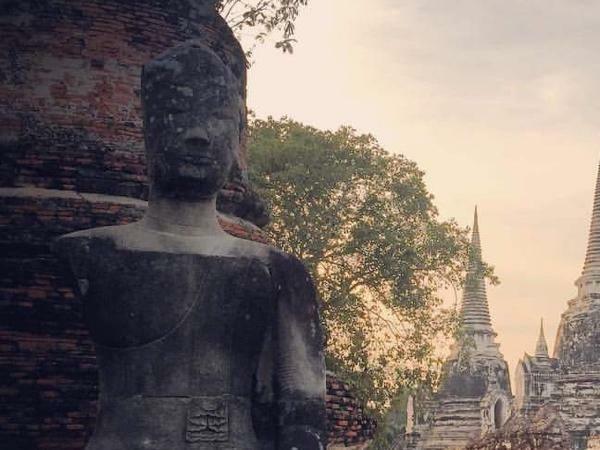 We worked it out to see Wat Chaiwatthanaram at sunset and got amazing photos. The boat ride was a wonderful touch. Thanks M! My time with M was great! He was flexible with my limited schedule, he was really knowledgeable about every site we visited and gave me a great crash course on Thai history. His English is near perfect and was really easy at navigating exposing a Westerner to Thai culture without being overwhelming. I do a lot of these type of tours when I travel for business and this was one of the best experiences I've ever had. Awesome day!! Thank you Michai!! Day was planned out perfectly!! Ayuthaya temples are a must see - There was planty of time to visit. Michai answered all of my questions and explained the history well. I really enjoyed the boat ride - it helped one gain insight into how the river was previously used and still used today. Lunch was the best food I have had in Thailand!! A great addition to visiting the Bangkok area!!! We enjoyed the entire tour specially M's additional info on the sights. Very much willing to recommend this. This was one of the best days we ever had in Thailand, the tour was just perfect as well as the lunch. Highly recommended. M was an amazing guide! Would definitely recommend a tour with M! Michai was alot of fun to be with...easy going and adept with many topics! Great English, considerate and accommodating in every way. We would definitely enjoy having him as a guide again in the future when visiting the Bangkok area. Our tour guide Michai was informative, engaging, and not only showed us around the temples but explained the history of Thailand up to the modern day. The tour was great value for money and our tour guide was excellent. Machai was very accommodating and really went out of his way to make our tour interstesing and very educational - he knew we were interested in more of the behind the scenes view of the old and new capital of Thailand and that is what we got and it was great. His English was good and easy to understand. I would not hesitate to recommend him to anyone and especially to anyone looking to wonder off the beaten path. Thanks again Michai for a wonderful day and a great job! My family (mom and dad, plus 3 kids 14, 11 & 7) recently traveled with Michai in Bangkok area for 5 days. He was fantastic at engaging our kids in our daily activities, was always early for our daily meeting times, added items to our itinerary based upon getting to know us and what we enjoy, was always prepared and very knowledgeable. I would highly recommend him to arrange for a tour and engage you into understanding both today's real life in Bangkok and the history of Thailand. We had a nice outing to the old capital with Michai. He is very personable. The driver and car were excellent. Very personable and considerate and we enjoyed the six hours with him and his driver. Michai is an excellent guide. He took our family on a tour to Ayutthaya that went beyond our expectations. He speaks great English and is very kind. I highly recommend him to anyone traveling to the Bangkok area! Though the tour was short it's as if it went a long way. Michai's versatility made the whole tour memorable. Very professional particularly with time. That matters most especially to transit tourists like us. Thumbs up! Keep up the good work...! Because of the unfortunate flooding situation in Ayuthaya, we were unable to go there. However, Michai took us into Bangkok and showed us a marvellous time. 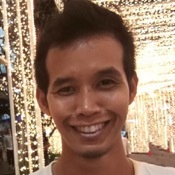 He is a humble and friendly person with a good knowledge of Bangkok and a good command of the English language. I would recommend him without hesitation as he will accommodate you to whatever changes you want. Michai was outstanding. He was not only friendly, but extremely knowledgeable, courteous and went of his way to ensure the perfect tour. We highly recommend Michai.